If you have decided to start an accounting career in Arkansas, you can choose between over 30 colleges and universities offering accounting degrees at all levels. Among these, the most prestigious is the University of Arkansas, whose undergraduate accounting program was rated as the 8th best nationwide in the small institution category by the Public Accounting Report’s 2013 survey. The same survey awarded the University of Arkansas the 13th place among small institutions for its Master’s program. With four schools ranked in the Forbes Top 500 Colleges List, Arkansas has much to offer to a motivated prospective accountant. At the start of your accounting career, you’ll be faced with a decision with tremendous consequences: what accounting program to pursue. It’s important to understand that on a challenging career path with demanding requirements your degree is your most valuable asset. It is thus essential to choose a high-quality AACBS-accredited program that can prepare you for the CPA examination and at the same time introduce you to the business community that will give you your first accounting job. Before you apply, check the program’s academic excellence by looking at rankings, faculty accolades, student awards, CPA exam pass rates and student evaluations. Remember that a difficult program with intensive coursework is more likely to help you succeed than an easy program. Next, look at the opportunities for real-life accounting experience. Internships, networking events, volunteering programs, field projects and student organizations will help you gain the experience needed to enter the field with confidence. Moreover, top recruiters such as the Big Four often target graduates of prestigious accounting programs. Find out which employers have recruited past graduates in order to get an idea of the opportunities you’ll have after graduating. Don’t forget that your school is the springboard to your dream job – so aim high and challenge yourself. Becoming an accountant is hard work, but if you go into the field with a passion for business and finance, you’re bound to find the work highly rewarding. The journey starts with a top-quality education. While a four-year degree is sufficient to work in accounting, you’ll normally need five years of college education if you wish to become a Certified Public Accountant (CPA). The minimum educational requirement for CPAs is 150 college credits including accounting and business courses, which can usually be completed as part of a higher degree. Before you can apply for a CPA license, you will need to pass all four sections of the challenging CPA examination, as well as to pass an ethics examination as required by your state’s accountancy board. You will also have to acquire one or two years of accounting experience depending on your state’s requirements in order to work as a CPA. In order to sit for the CPA exam in Arkansas, candidates must hold an undergraduate or graduate degree including 30 hours in business courses and 30 hours in upper-level accounting courses (or 20 hours in graduate accounting courses). Applicants must have earned a grade of at least “C” in all accounting courses. In order to apply for a CPA license, candidates must also complete 150 college hours of education within 3 years of passing the CPA exam. Moreover, CPA candidates must pass the AICPA ethics examination, as well as acquire one year of accounting experience in public practice, industry, government or academia. Arkansas does not rise above the national average in terms of accounting pay levels. The mean annual salary for accountants and auditors in 2013 was $62,560, lower than the national average. While this figure can rise to $64,380 in areas such as Little Rock – Conway, the average drops to just $52,000 in nonmetropolitan areas such as West Arkansas. However, with many thriving companies located in Arkansas and a constant demand for qualified accountants, opportunities abound for accounting graduates to get off to a great start in their careers. The highest paid percentile of accountants earns as much as $93,120 on average in Arkansas, depending on location, experience, qualifications and chosen career path. 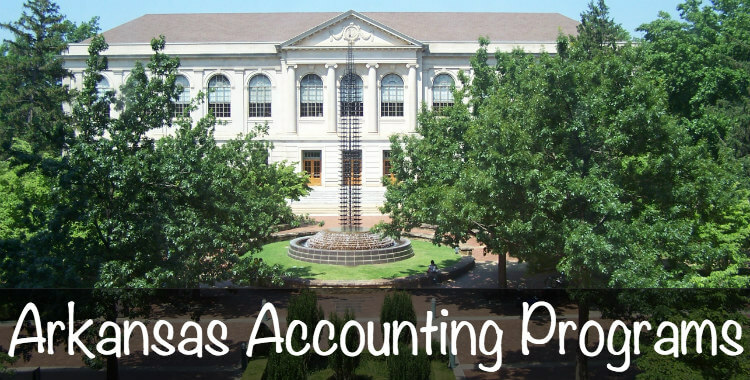 The AACBS-accredited accounting program at Arkansas State University presents students with different ways to qualify for the CPA exam. Students can opt for the Bachelor of Science in Accounting and a Master’s degree such as Accountancy or Business Administration, or alternatively they can complete an unrelated Bachelor’s degree and supplement their learning with the required coursework in accounting and business. 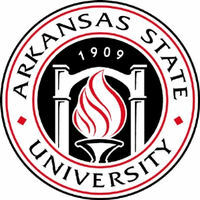 Ranked 61st among Regional Southern Universities by U.S. News, Arkansas State University provides students with the broad background and specific skills necessary to succeed in accounting. While the Accounting Major covers introductory to intermediate accounting, taxation, auditing and related topics, the Master of Accountancy degree offers advanced expertise in accounting, management, information systems and auditing. The Master’s program also features a capstone Seminar in Financial Accounting Theory including a written paper and a presentation. With internship opportunities and over 300 student organizations to complement its comprehensive curriculum, Arkansas State University offers a solid start to a successful accounting career in Arkansas. The AACBS-accredited Sam M. Walton College of Business at the University of Arkansas is rated as the 55th best business school in the country by U.S. News. Students at the Walton College can pursue an undergraduate degree in accounting, as well as a Master of Accountancy and a PhD in Accounting. Moreover, an integrated five-year program allows students to earn the BSBA and Master’s degree simultaneously while also qualifying to sit for the CPA exam. The BSBA with an Accounting Major provides students with a broad foundation in business and accounting, with a focus on taxation, auditing, assurance and the fundamentals of accounting. Students can also choose to enroll in an accounting internship in order to get some additional experience. The Master of Accountancy degree boasts in-depth coverage of financial and management accounting, advanced taxation and auditing, as well as accounting information systems. Moreover, the wide range of electives allows students to tailor the program to their own interests. In 2013, Walton College reported a graduate employment rate of 84%, with an average starting salary of $50,265 for accounting majors. With over 300 Fortune 500 companies based in Northwestern Arkansas, University of Arkansas accounting graduate have bright futures to look forward to.